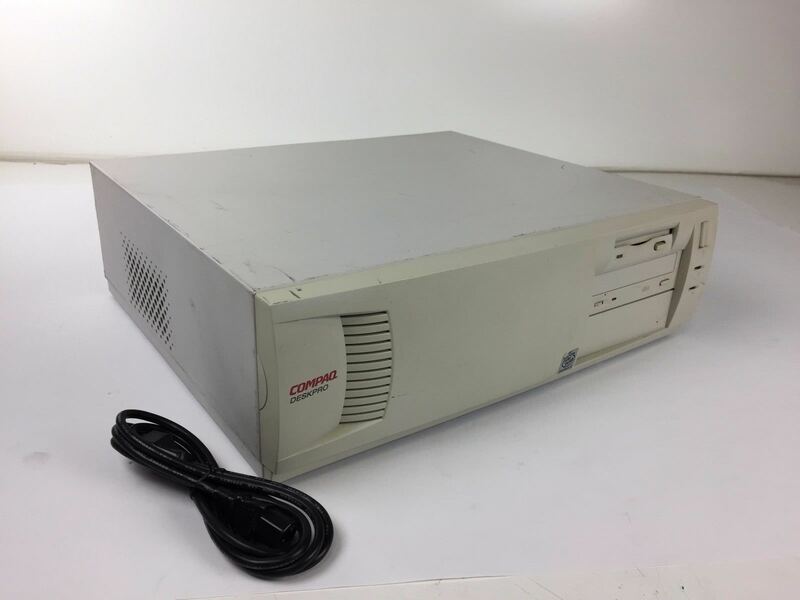 VOGONS • View topic - Re: Compaq Deskpro! Paid 80 for this on eBay. It's supposedly working and passed a system stress test. The IO is untested but the fact it passed a stress test tells me they keyboard and mouse ports are at least ok and I have a Compaq USB PCI card I can use for USB if its USB bad. It's a Deskpro 6266. I've been wanting a Pentium II AGP system for a while now for 1997 to 1998 games that I feel are too new for the S7 MMX machine and too old for the Pentium III. He was asking 88 total shipping included but I talked him down to 80 even citing the minor case damage and the IO ports being untested and the work it would take to bring it back to factory condition. Not a bad deal considering there was already a wealth of information available about these machines and Deskpros are my preferred model of vintage computer. Basically, they are normal AGP video cards with half height brackets missing the bottom portion that are dual width in reverse. Shown here is the Rage Pro Turbo option. It's a normal PCB. It just lacks the metal bracket like seen on my Rage IIc that I just bought shown in the second picture. could be retro-fitted into this system. Vice versa the Compaq cards could probably be fitted into any normal ATX machine. The bottom half of the bracket slot however would be blank unless you swap in a compatible full height bracket. Overall if you have basic computer knowledge and aren't trying to fit unreasonably newer cards with DVI ports on the bottom into it its not that restrictive as most 90s video cards fit the above 3 criteria. Neat, I always wondered what this card I had was from. TheAbandonwareGuy wrote: It's a Deskpro 6266. I've been wanting a Pentium II AGP system for a while now for 1997 to 1998 games that I feel are too new for the S7 MMX machine and too old for the Pentium III. He was asking 88 total shipping included but I talked him down to 80 even citing the minor case damage and the IO ports being untested and the work it would take to bring it back to factory condition. Not a bad deal considering there was already a wealth of information available about these machines and Deskpros are my preferred model of vintage computer. I thought I had a PII Deskpro, but on a check of the pile it's transmogrified into a P-233 MMX Deskpro, a 4000 series. Man that series runs the whole gamut, P, P pro, P MMX, and P II. Ahhh Compaq, they think they get a free pass on being "industry defining" due to knocking out an AT class 386 before IBM, so standards don't apply to them. So them and IBM seem to have some of the least completely "IBM compatible" machines around... well I guess on the software side they're mainly hunky dory. I know I've seen that style of VGA card and bracket before, not sure if I own one, unless the 4000 is the same. I think I'm going to start a separate Deskpro thread. Any chance a mod could move the existing posts to one? That cut-out top-mounted VGA card is also similar to those used with NLX boards/cases. I have a couple with a square rear plate, rather than a long one. In any case TAG, that's a nice Deskpro, I have a soft spot for Compaqs. TheAbandonwareGuy wrote: I think I'm going to start a separate Deskpro thread. Any chance a mod could move the existing posts to one? Now that brings back memories. Back in 99, the high school that I went to installed a bunch of those Deskpros. Most of them were PII-400s with that exact desktop chassis. The new media lab had Deskpro towers with PIIIs in them, I think 550 or 600MHz. I used to have one that looked just like that, also a Pentium II (think it may have been 300 or 400MHz, not sure, but I still have the CPU in storage somewhere). I upgraded the CPU to a Pentium III 600MHz and the RAM to 128MB and it made a great little Windows 2000/Windows XP system back in the day, with an AGP Voodoo 3 16MB card installed. I lent the system out to a friend of my mother's about 10+ years ago and never asked for it back. Not sure if he even still has it, I should really try and find out as I'd love to have that system back. This Deskpro also brings out memories for me. We aquried around 100 refurbished to work with a P3 550 in 2002 when deploying Windows XP. They replaced old Deskpro 2000 and Prolinea 5xx models running NT4. The last one was taken out of service three years ago from a library where it had been running a self service book loan application. The odd AGP form factor were annoying and beside the ATI cards i never saw other that used that except a Matrox card. So these can go up to P3s? UXWBill says in his video they only have jumpers for CPUs up to 400 in the Slot 1 configuration. Yeah, pretty much the above. When I replaced the Pentium II CPU with the 600MHz Pentium III, I didn't need to alter a single thing it just worked immediately at the correct speed (same FSB). You can even change that partition to a normal FAT16 partition, extract those files, and use them in that included mini Windows 3.1 or full blown windows. Then you do not have to restart, to change your Deskpro Bios settings. Cyberdyne wrote: You can even change that partition to a normal FAT16 partition, extract those files, and use them in that included mini Windows 3.1 or full blown windows. Did the slot 1 systems use that software BIOs or did that stop with Socket 7 based Deskpros? I'm really hoping mine doesn't because that will not be a fun piece of software to find. That type of VGA card is very common for compaq's and a few others. I recall fining an HP that used one. I'd keep the rage and add a voodoo1 or 2 to the system If the have the pci port for one. 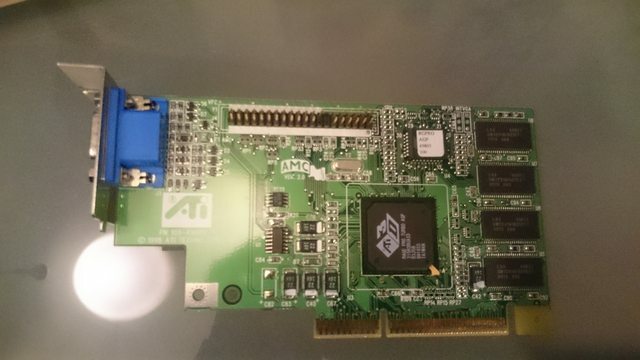 the ATi card will be nice for playing MW2 in 3d. If I recall most card like this are matrox cards, ATi rage and a few 3DLabs cards. maybe a s3 virge too. Deskpro 2000 and 4000 use those. Idk if slot 1 machines use them. 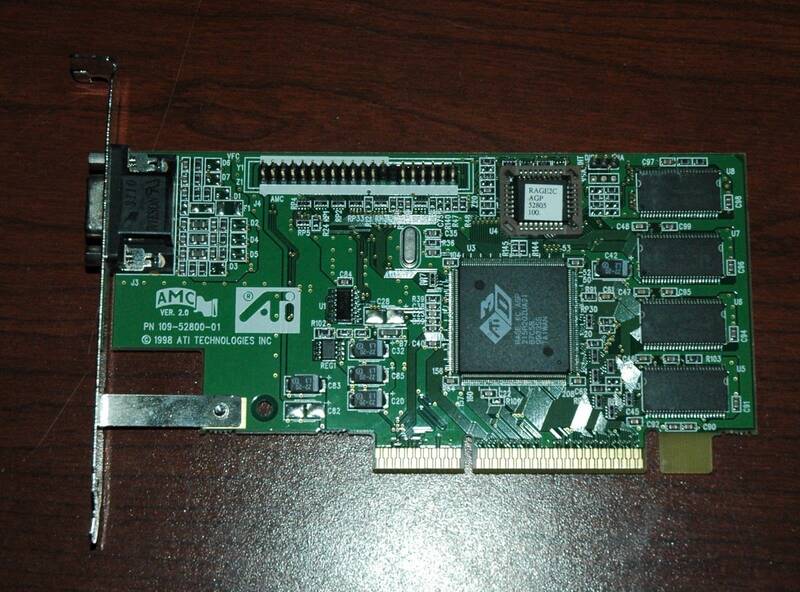 Jade Falcon wrote: That type of VGA card is very common for compaq's and a few others. I recall fining an HP that used one. I told the seller if he doesn't provide the password within 24 hours its going to be an item not as described case. Have you tried resetting the BIOS/Settings partition? I think you can reset it by downloading the right utility off of HP's FTP (I think this is it) and booting from the floppies it prompts you to create when you execute it. Then use some of the tips listed at this thread to get the case off if you can't get it off normally.